Whether you are hiding from the Red Coats or helping a traitor to the Crown, this Outlander Backpack is a necessity to anyone! Designed with hand woven premium Tartan wool paired with matching brown vegan leather, this bag features a draw cord closure, adjustable buckle straps, front pocket, and inside compartment. 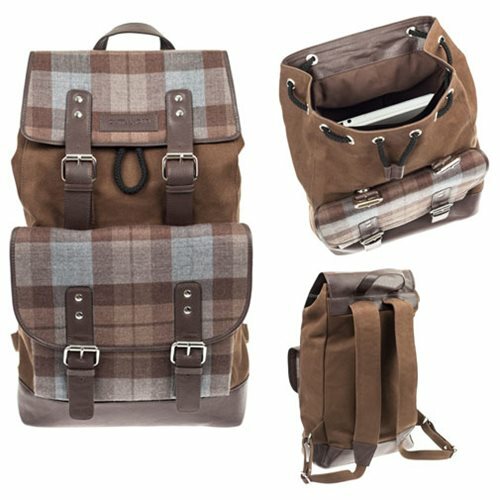 This durable Outlander tartan backpack has adjustable straps and is lightweight for carrying. Measures approximately 15-inches tall x 10 1/2-inches long.